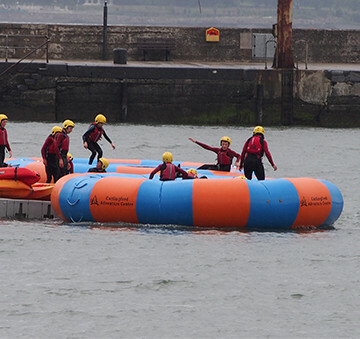 Our Inflatable Water Trampoline is guaranteed to please!  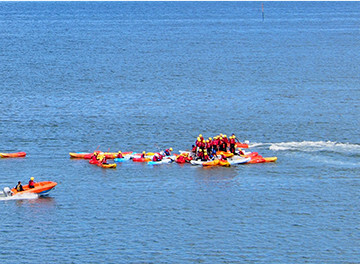 A big favorite and one of the most fun activities on the water alongside pier and pontoon jumping. 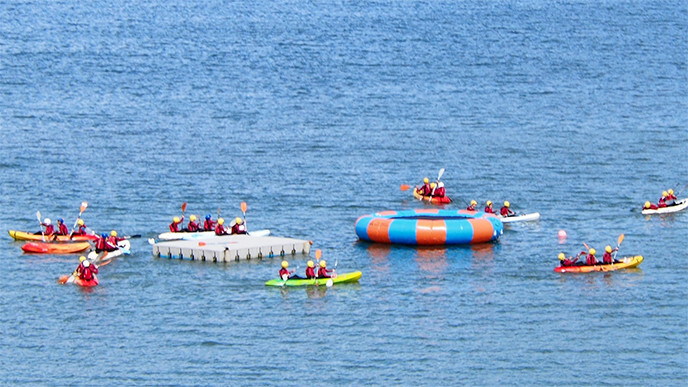 They introduce a fun activity element into our water activity and other water sports. 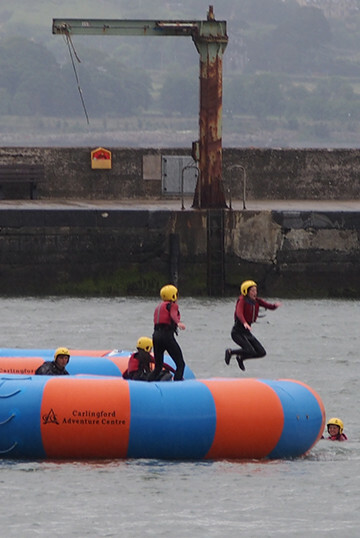 DURING WINTER MONTHS AND WINDY WEATHER ONLY PONTOON JUMPING MAY BE AVAILABLE… BUT IS STILL GREAT FUN!!! 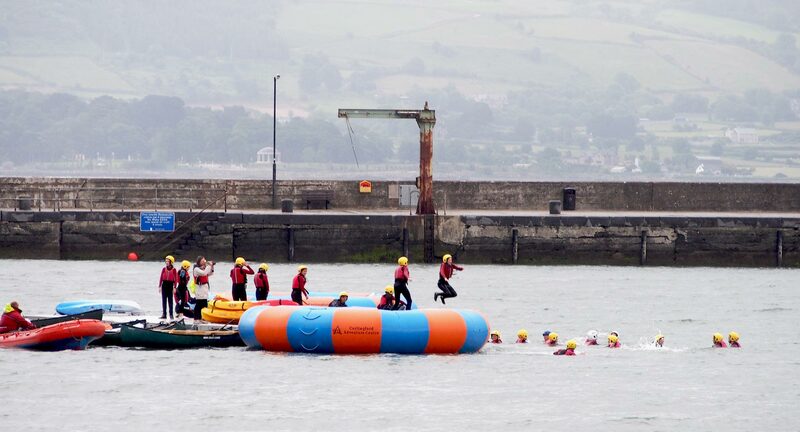 Situated just off the shore, our floating water trampoline is included at the end of our water activity packages which include kayaking, canoeing, Stand Up Paddleboarding & raft building. 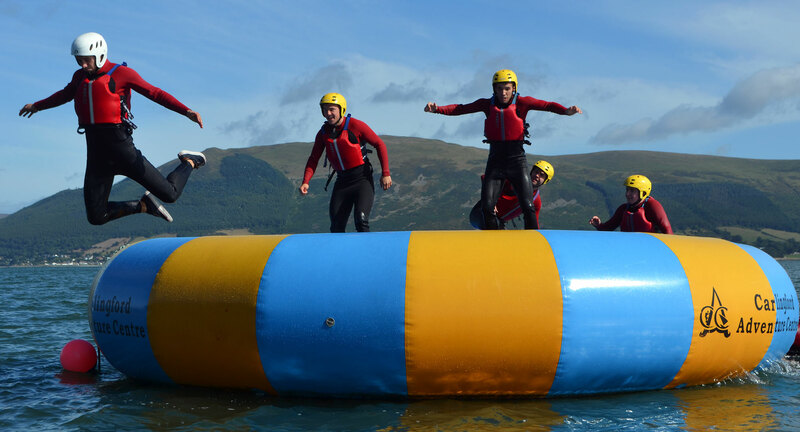 Lots of places have trampolines, but we had to go one step further and get an inflatable floating water trampoline! 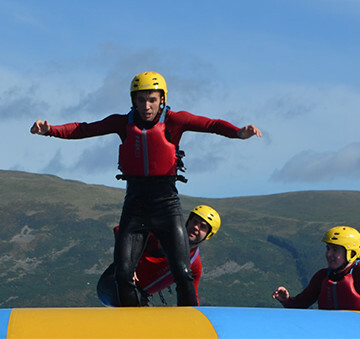 You can climb on it, bounce on it and even flip off it into the water…however you decide to use it, it’s the ultimate fun water activity for all ages and is a great way to round off a water sports adventure! 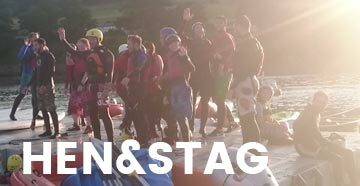 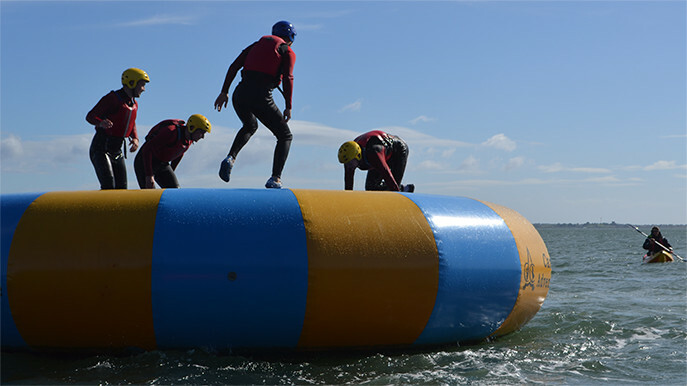 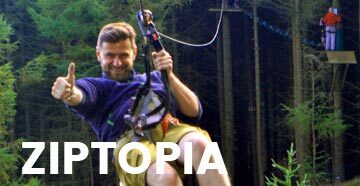 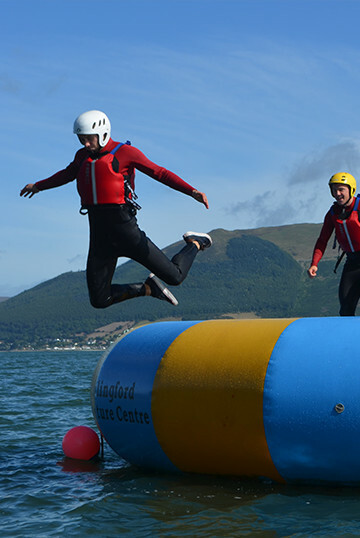 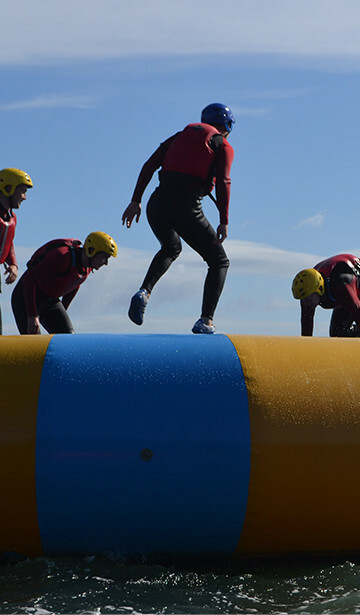 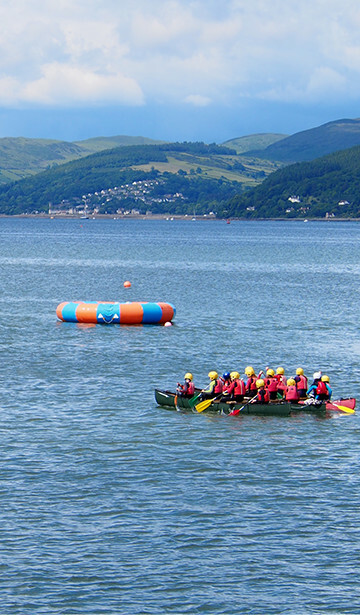 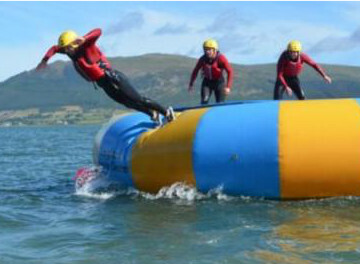 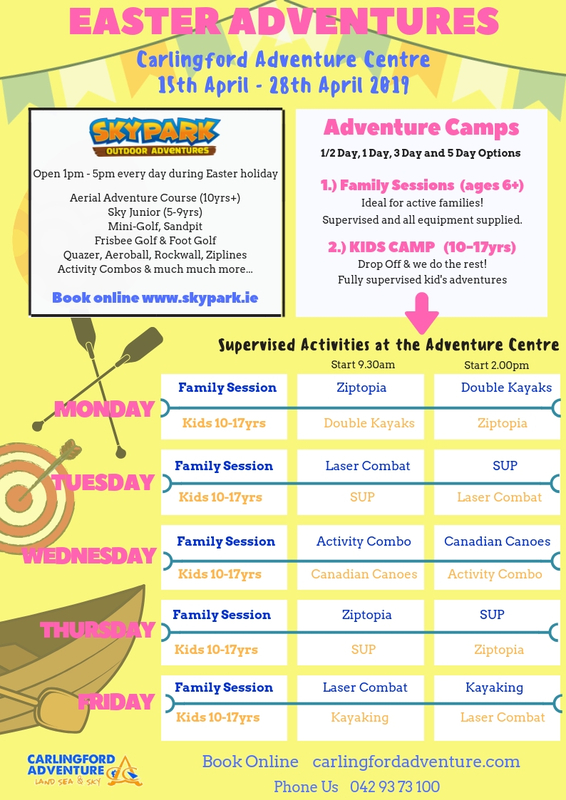 Come on down to Carlingford Adventure Centre and let your inner child jump out… just book one of our standard water activities and enjoy a bounce at the end!